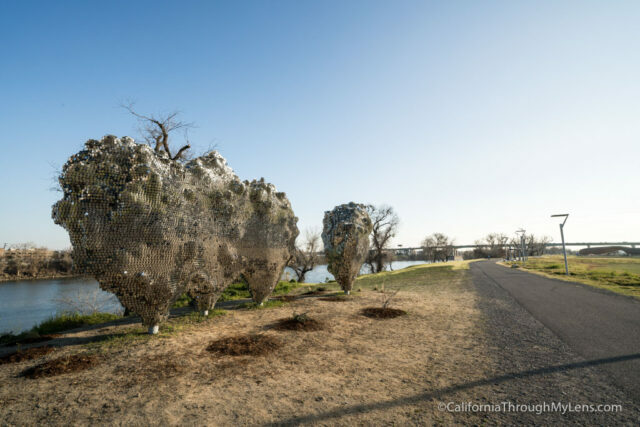 Sacramento is the state capitol of California, and while it is not one of the state’s most popular tourist attractions, it is still a great place to explore with a lot of fun adventures. Here is a list of my 20 favorite spots in the city, be sure to leave your favorite in the comments. You can also watch all of these spots in video format here. 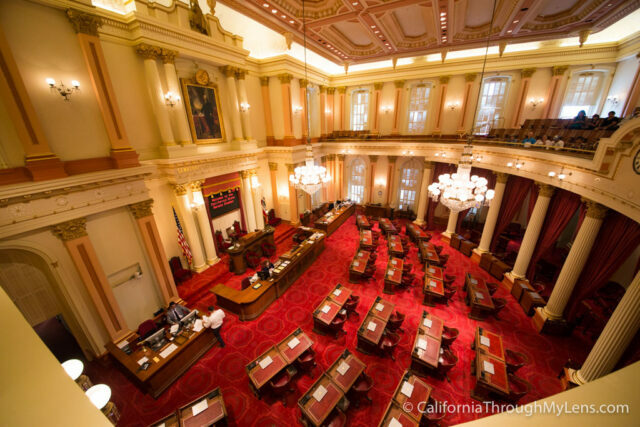 The Capitol Building is a course where all the government takes place in California, but a lot of people don’t know that you can actually visit and that there’s a museum as well. 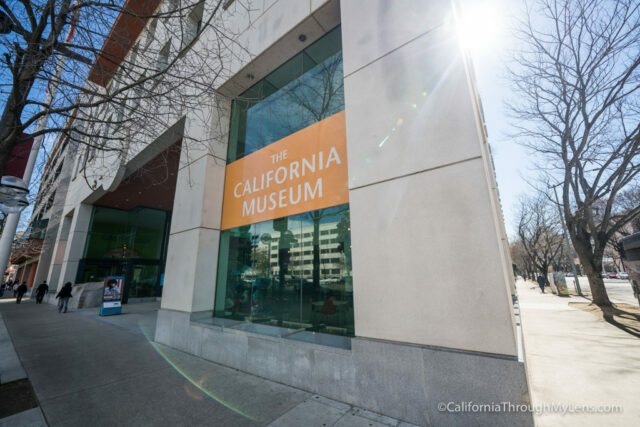 After passing through the metal detectors, the bottom floor is the museum with a lot of information on the history of California. There are exhibits focused on the different counties and old replica offices you can look in. If the Senate or the House of Representatives are in session, you can walk to the third floor and look down on the whole process. When they are not in session, you can still go into rooms to see how beautiful they are but it is cool to be able to sit there for ten or fifteen minutes and watch aspects of the government taking place. Read more about the Capitol Building here. I love going to Old Sacramento every time I visit this city. Even though it can be touristy, I think it’s a lot of fun, and there are a lot of cool things to do there. My personal favorite is the shooting gallery that’s down on one of the streets. You can put in a dollar and shoot it on a bunch of different interactive things. 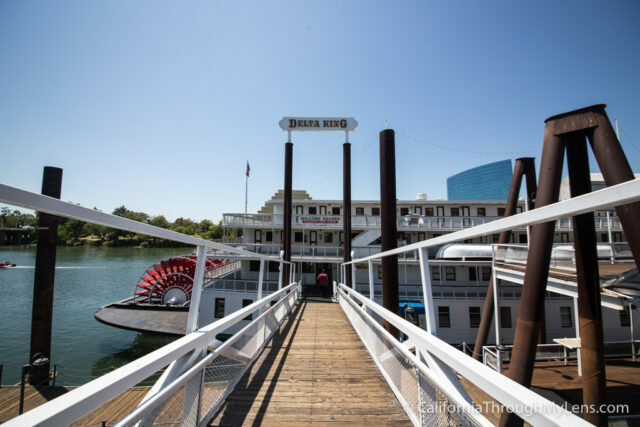 Then there’s the Delta King, which is an old boat that they turned into a hotel. There’s Fanny Ann’s Saloon, which is just an absolutely crazy place to have a meal. There’s little museums, candy shops, all sorts of things. 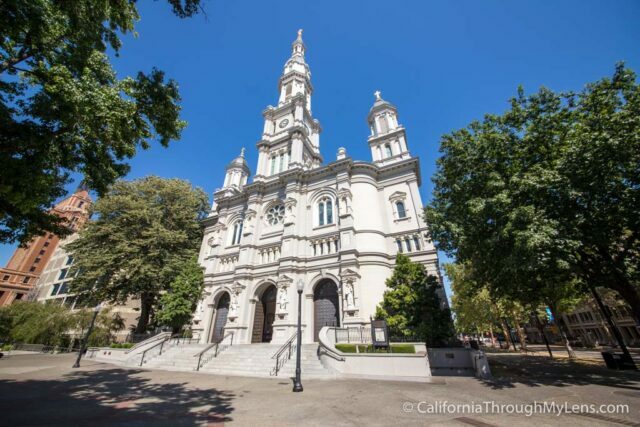 It’s a great place to explore in Sacramento, and also, it’s fun to go for St. Patrick’s Day, as that’s where they have the St. Patrick’s Day Parade. Read more about the Old Sacramento here. This museum is one of the better ones that I have been to in California. There’s a ton of different types of trains and train cars, plus there are all these interactive exhibits that have the trains on the tracks, and they have things built up around them just to show you know what the train would’ve been going to during the period. It’s just a cool place to explore. I recommend at least an hour or two to walk around. 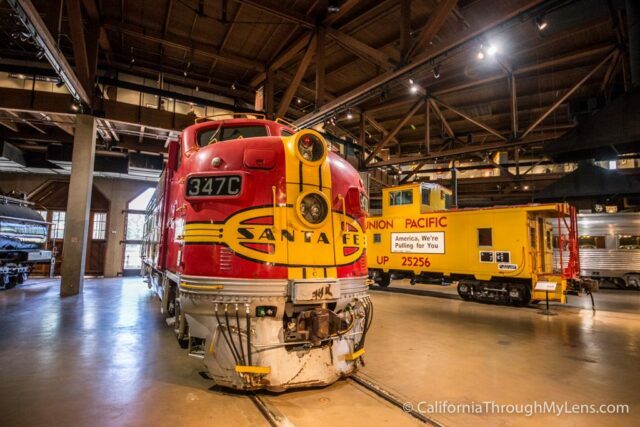 You can go in many of the trains, and if you can only go to one spot in Sacramento, this museum is probably my recommendation. Read more about the Railroad Museum here. 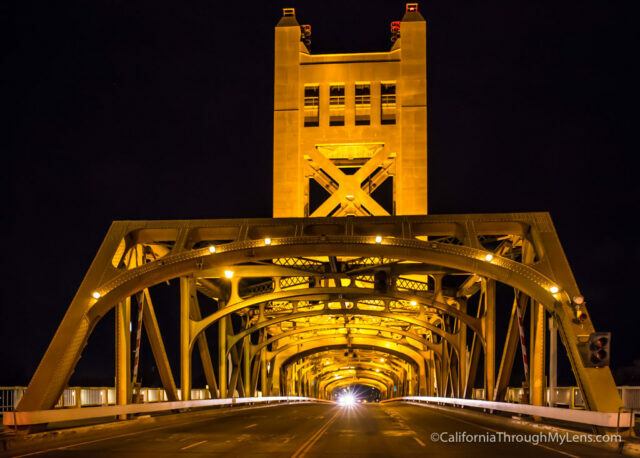 California has a ton of cool bridges, and the Tower Bridge is one of those. This yellow bridge in downtown is fun to walk around and check out. 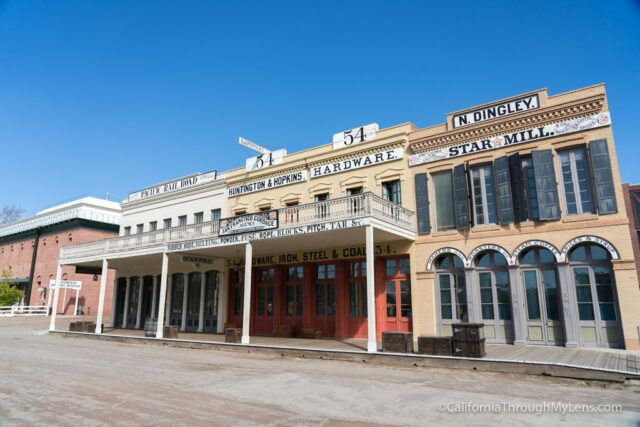 You can walk along the banks of the river, you can walk across it, and you can see it from Old Sacramento. It’s also an excellent place for night photography as well. I’m not a huge an of art museums myself, but this one is a lot of fun and worth checking out while you’re in the city. 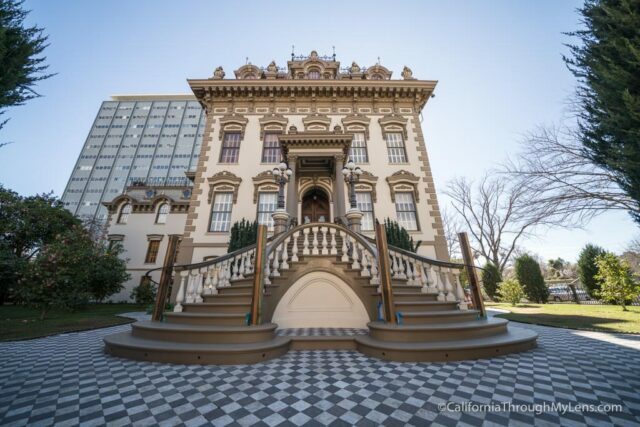 It’s actually two buildings, one which was the Crocker’s family home, who donated all the art and the money to make the museum, and the second building, which is a new one they built within the last two decades to house more art. They are both connected so you can walk in between them, plus there is art in both of them so you can walk back and forth as you explore the different floors. 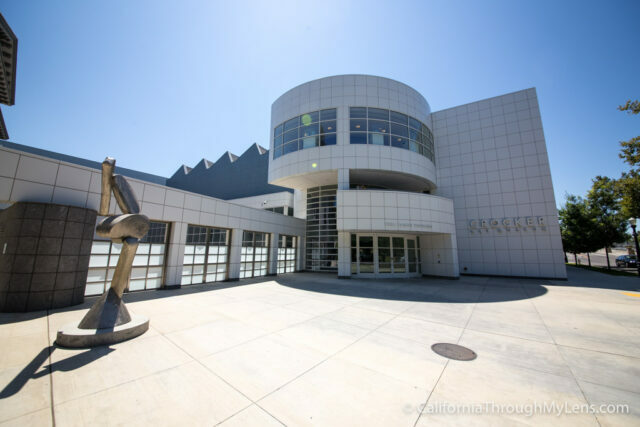 Read more about the Crocker Art Museum here. Sutter’s Fort was a 19th-century trade area that was built in 1839. It was an essential part of the development of the city. There’s a lot of unique history at the fort, and it has been restored to what it would’ve looked like during that period. You can walk into the rooms, and there’s audio that plays that to tell you about the rooms that you are in. There’s a doll that belonged to the Donner Party, and that has a fascinating story in one of the rooms. Also, while you are there, you can go to the Indian Museum which is located in the same area. Read more about the Sutter’s Fort here. 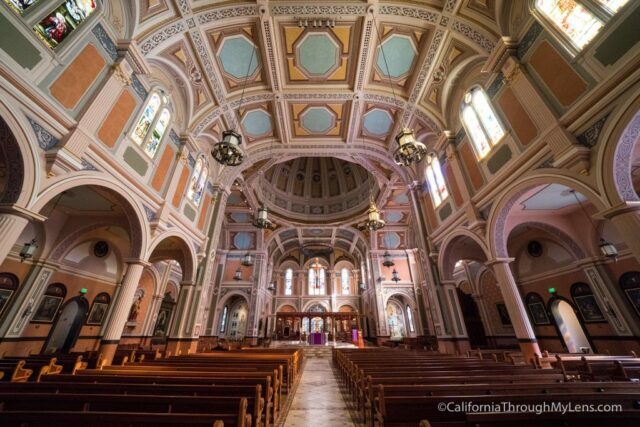 Cathedral of the Blessed Sacrament is one of the most beautiful in all of California, and it was built in the late 1800s. It has been renovated since then but it has a fantastic piece of architecture in the middle of the city, and it is something that you should spend a few minutes visiting. During the weekdays, you can come in and look around, see the altars and see other the beautiful pieces that they have around the cathedral. If you want to, you can also come during the weekends and go to a mass as well. 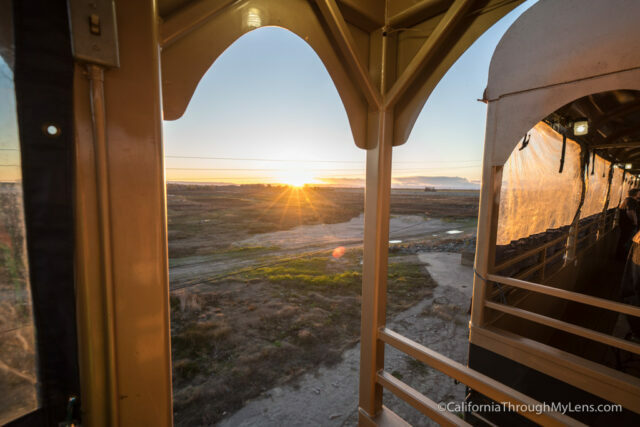 The Sacramento River Train is an old train that runs on a 14-mile section of the track between West Sacramento and Woodland. It goes about 10-15 miles an hour, and they have all sorts of events that you can go on. There’s beer events, wine events, and there are murder mysteries on the train. It’s a great way to spend a few hours, and you can see on the website to see what event is coming up. 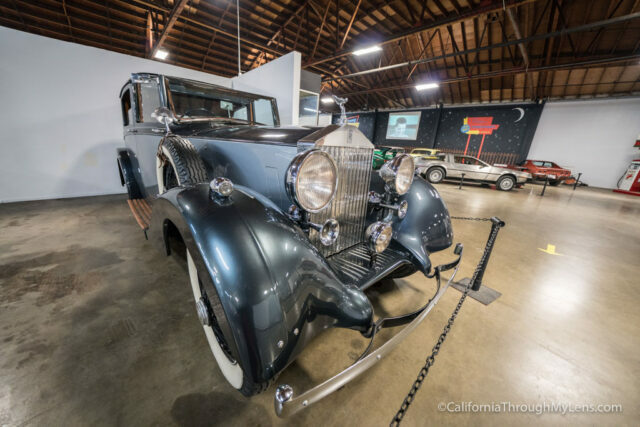 The California Auto Museum is housed in a big warehouse right along the river in Sacramento. It has about 70,000 square feet of space of where they accommodate the over 150 classic cars. I’m not a huge car buff myself, but I enjoyed walking around the area and seeing all the unique cars that they had, such as stagecoaches and wagons. It is a cool spot if you love cars, but even if you don’t it’s a fun area to check out, and you’ll learn something while you are there. Sacramento has an awesome bike trail that goes along the river for dozens of miles. 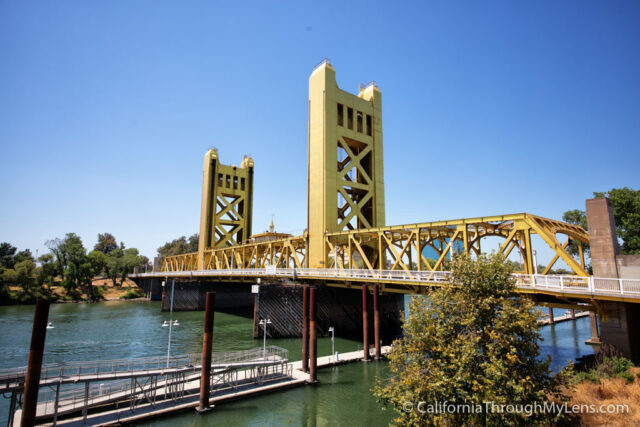 If you have your own bike, you can ride where you want and connect with the trail, or you can rent a bike on Old Town Sacramento and just head out from there. It has beautiful views looking down on the water, and it’s a great way to be active while you are in the city. William Land Park is on the southern outskirts of Sacramento, and it’s a great place to go if you have a family. The park is a big open grass area with duck pond, a small zoo, and a place called Fairytale Land, where kids can explore Humpty Dumpty and all those fun stories come to life. 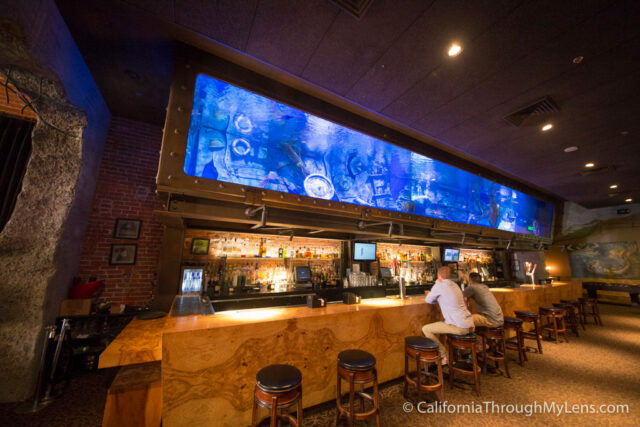 Dive Bar is located only a stone through from the Capitol Building and has a massive fish tank right above the bar. They have mermaids that swim in the giant fish tank, and it is a crazy experience in Sacramento so you definitely should check it out at least once. Be sure to look on the website to see when the mermaids are going to be swimming as there are different times during the week. Leland Stanford Mansion State Historic Park was built in the mid-1800s and was once owned by Leland Stanford who was once the governor of California. Since it is so well preserved, it became a national historic landmark in the 1980’s. It is now run by the state park system, and you can visit and take a one-hour tour on the property. They don’t allow any pictures or videos inside, but it’s a great way to learn the history of Sacramento. Capitol Park is the entire area outside the Capitol Building. It’s 40 acres, and it features tons of trees from all around California including Redwoods. 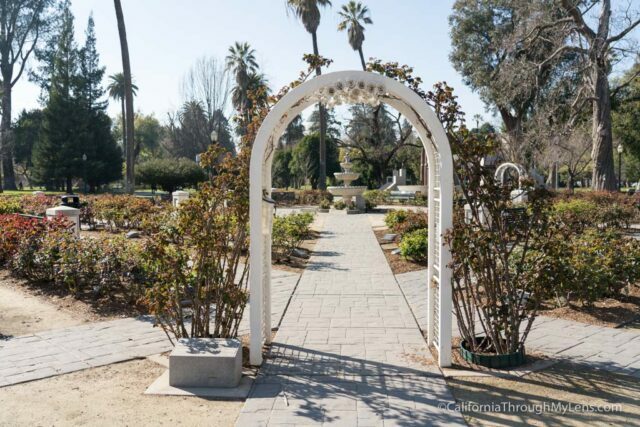 It’s a great place for a stroll, but one of the most beautiful areas is the World Peace Rose Garden out on the edge. This half acre flat features over 650 different types of roses, and it’s impressive when they are in bloom. There’s also a war memorial here, and there are benches that you can sit and relax at. Before leaving Capitol Park, go across the street where there are a few more exhibits and a great view of the Capitol Building with a road leading right to it. 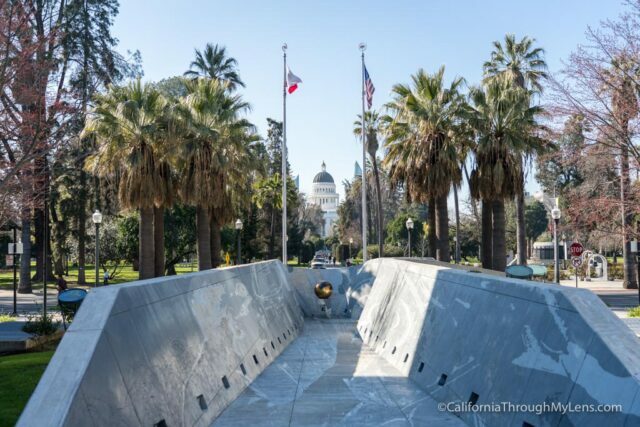 The California Museum is located right next to the Capitol Building, and they call themselves the “official home of the California Dream.” This museum is three floors and has exhibits all about the state of California. 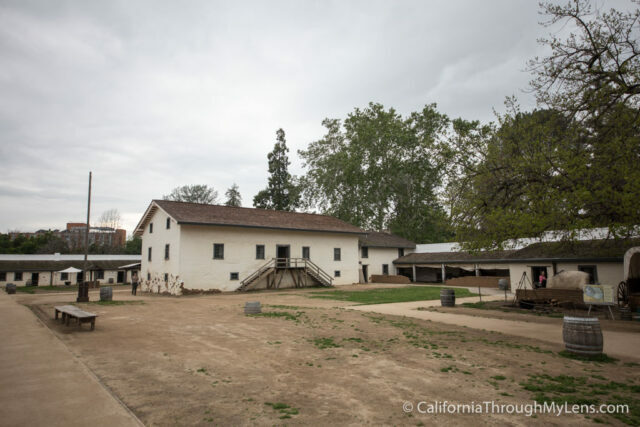 In the museum, you can see exhibits on the Native Americans that lived in California, the Japanese internment camps, and the California missions. 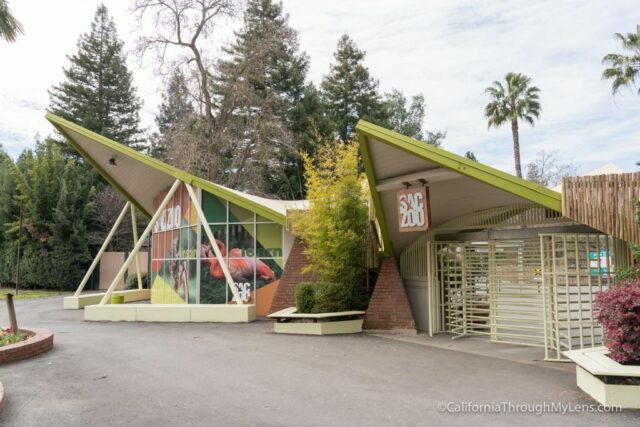 They also have what they call the California Hall of Fame, which features a lot of the famous California residents and an area dedicated to some of the famous California women as well. It’s a fun way to spend an hour in the city as the exhibits are well done, and there’s a lot of great information if you are into history. Read more about the California Museum here. 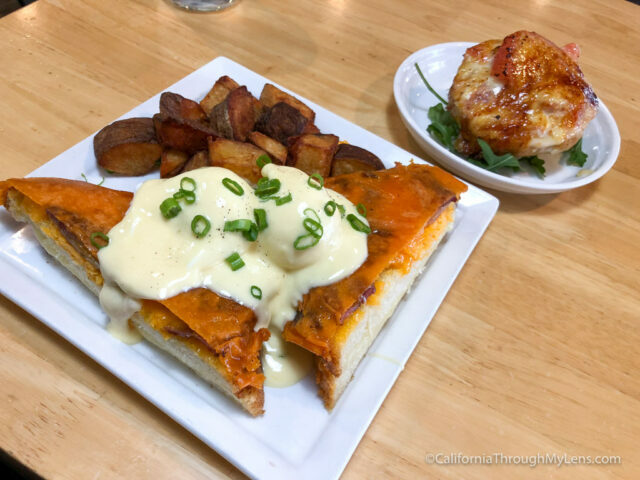 All right let’s jump into the food recommendations, and I do have to say Sacramento does brunch well, so three of the five are brunch spots. This small restaurant on the outskirts of Sacramento is incredibly busy during the weekends. They have an eclectic menu of interesting food items. My favorite being the grilled cheese benedict, which is just as decadent as it sounds and the grapefruit Brulee where they take a grapefruit cut it in half and do a Crème Brulee sugar crystallized top. While this place serves both breakfast and lunch, the breakfast is where it’s at for me. I recommend any of the dishes they have with their pork belly, which features a thick cut of the meat that is tender and easy to eat. 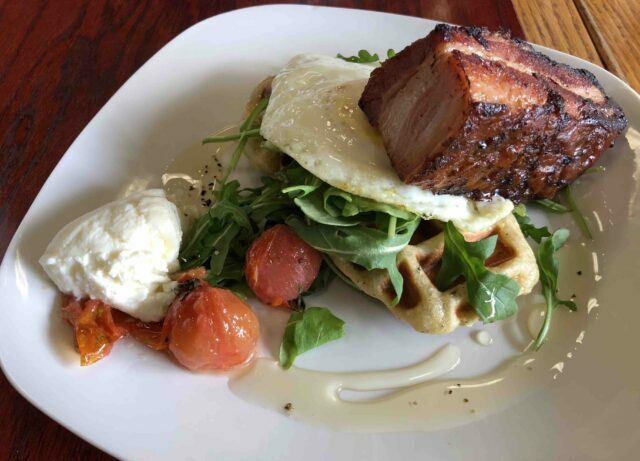 Also, they have the dish where they serve the pork belly with an egg roasted tomato and an herb waffle. 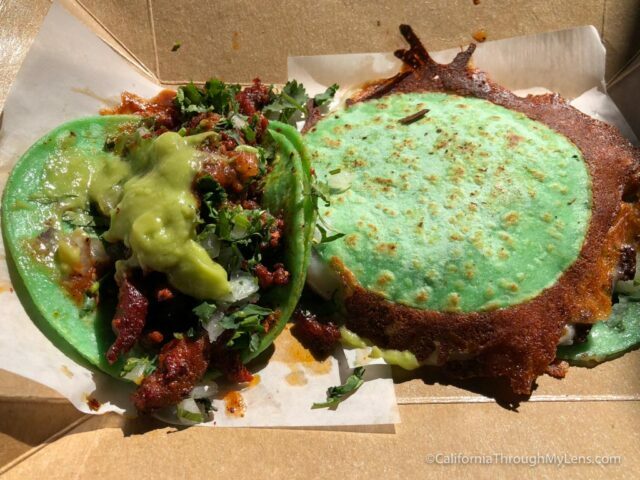 Chandos Tacos is one of my favorite Mexican Food spots in Sacramento. They have a great selection of tacos, their prices are good, and there’s always a line. They’ve expanded to many different locations, but I like the original as it seems the most authentic. Read more about Chando’s Tacos here. Mother is one of those vegetarian spots that I will go out of my way to eat. 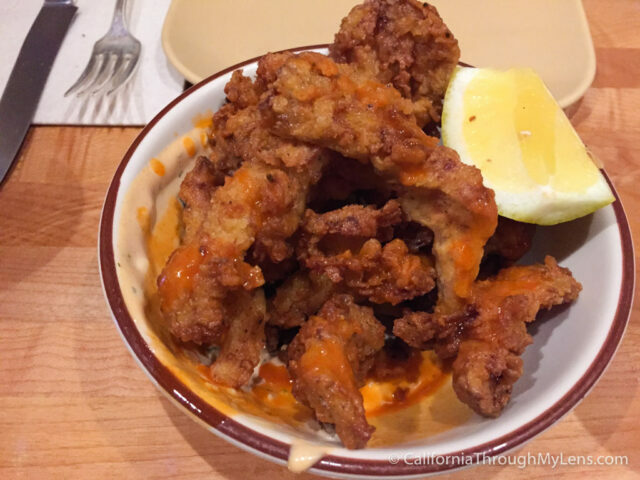 They have lots of unique vegan and vegetarian dishes, but for me, I cannot go and not order the chicken fried mushrooms. My wife always goes in thinking she’s going to order something new but then still orders the Chili Verde every time as well. It’s a fun spot and if you are not vegetarian or a vegan give it a try you’ll probably enjoy it. Read more about Mother here. The Tower Cafe is located in the southern part of the city and both the times I’ve visited people have been lining up before they even opened. 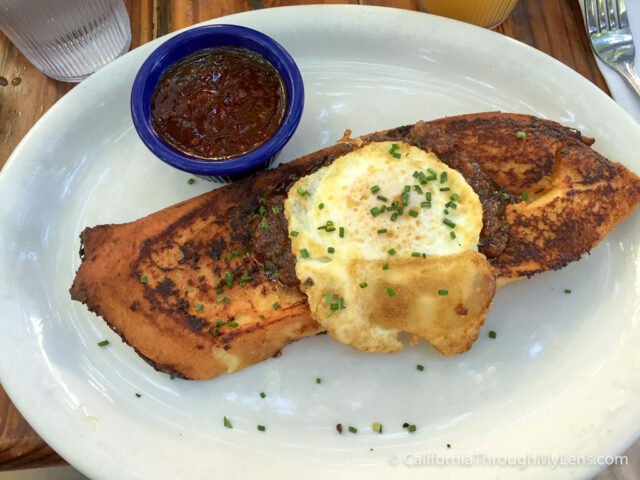 For me, the famous French toast is where it’s at. It features two slices of their secret recipe custard soaked French bread topped with decadent whipped butter. They also often have a seasonal French toast there that has a different fruit based on the season. It usually have a like cinnamon whipped cream that can be good as well. I know they have lunch here, but I haven’t been so if you’ve been let me know what to get in the comments. Read more about Tower Cafe here. There’s a lot of other great restaurants to explore though in Sacramento like Fox and Goose, Federalists, Public House, Ginger and Elizabeth’s. Go out there and find something new if you visit the city. 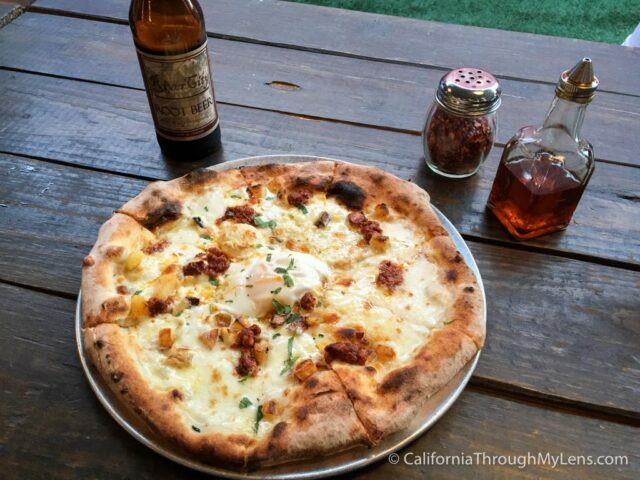 So those are my 20 favorite spots in Sacramento, let me know what I left off that you love in the comments.